How Does ABCmouse Make Learning Fun for Kids? Jul 20, 2018 | 1 Votes by Aethyna 10 rate Your vote ABCmouse is an award-winning online educational program that have rave reviews from teachers, parents and children alike. Today, we’ll be taking a deep dive into this amazing program, showing you how ABCmouse can turn the most reluctant of learners into avid ones! As we’ve mentioned again and again, kids will always be kids and what they like to do the most is to play… like all children do. However, the current education method, which unfortunately is really popular among the officers at the education department, is simply too dull; too uninspired; too mechanical, and all of this negative feeling can be felt by the kids who are at the other end of the learning process. As such, it is not surprising to see an increasing number of children rejecting learning in general, and they ended up being placed at the very end of every class or even being held back for a year or two. It is crucial to make learning fun again, and this is what ABCmouse does best! Of course, we all know about ABCmouse’s extensive and well-designed curriculum which covers a wide range of topics, helping parents prep their child for kindergarten right up to elementary school. They provided a comprehensive list of every lesson they offer and what your child should be able to learn at the end of said lesson. But the way ABCmouse conveys these educational materials is important as well! As a parent, you might have noticed that young children like anything that moves. Even as toddlers, they will often snap to attention at curious motions that caught their eye. This is something that ABCmouse makes full use of via colorful and engaging animations, which also includes animations used in both games and videos. These animations aren’t just there for show though! Oh no, they are there to deliver oftentimes boring educational facts and information in a light-hearted and entertaining way – the way that kids best respond to. 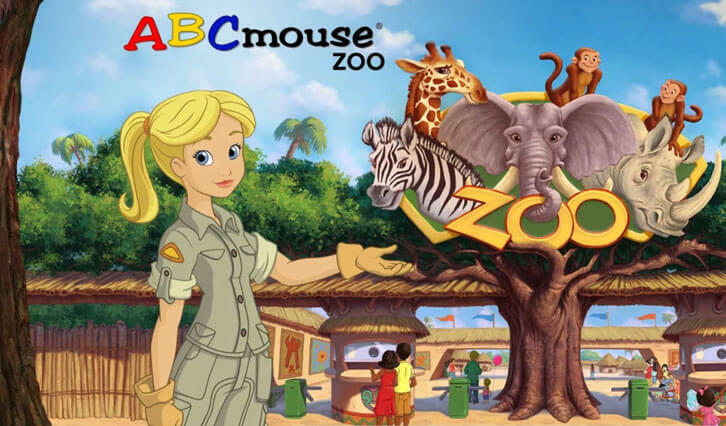 Unlike the old-school educational TV shows which are filled with animations and important educational materials, ABCmouse one-ups these shows by allowing kids to interact with their virtual surroundings. For instance, in the program, your children can visit a virtual zoo where they can learn more about animals at the zoo. There is a virtual farm as well. For interactive educational games, your child will even be able to hone their fine motor skills in addition to being able to learn how to use a keyboard and a mouse effectively. How many times have you seen a child just dumps a toy he/she has been playing for another in a blink of the eye? Well, a lot of times, naturally, since this is simply in their nature. However, ABCmouse is somewhat immune to such “behavior” mainly because it provides several motivational elements in its program to gently encourage your child to return to the program and learn more. One way they do so is by allowing your child to earn virtual coins by completing lessons and letting them spend those coins they earned on cute collectibles for their virtual aquarium or to decorate their virtual classroom. Besides being able to teach your child about money management, it also helps to instill a love of learning in your child by giving them something interesting that they’d like to strive for. So, all in all, ABCmouse is an excellent, online educational program that is able to turn learning from being a somewhat boring activity into a fun one.